1980's Kenwood Model R-600 Amateur short wave receiver. It is a General coverage receiver for standard broadcast, and shortwave listening. Frequency covers 150 KHZ to 30 MHZ for reception of SSB, CW, and AM modes. The receiver incorporates a stabilized VFO, and PLL (phased lock loop) synthesizer for trouble free reception. The radio incorporates a digital readout for frequency. You will need an external antenna for proper reception. 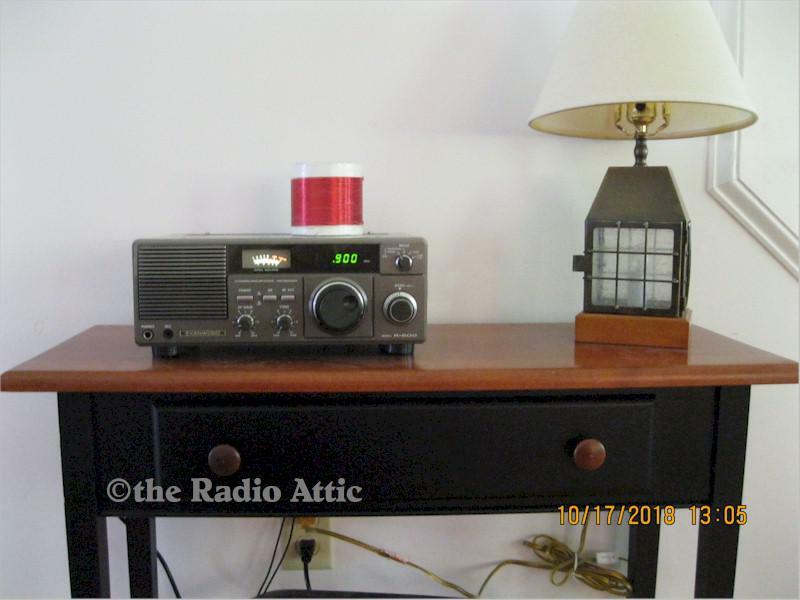 I show this receiver working with my home made window sill antenna.This radio is from my ham radio stash. It has been well cared for since I have owned it. There is a minor crack on the top left corner. There are some minimal scratches, and spots. I included photos of the radio without the top, and bottom covers. I wanted to show that I have cleaned the radio inside and out. The radio requires standard three-prong AC power cord (supplied). I will also include a copy of the operators and service manuals. You can also have the window sill antenna. Shipping: $20 FedEx Domestic only. It will be packaged properly, and double boxed. You are visitor number 716 to this page.